The history of concepts has proved in recent decades to be one of the most stimulating and promising lines of research in the humanities and the social sciences. The proliferation of theoretical-methodological debates, publications and analysis of certain concepts – with regard to both their long-term evolution and their rhetorical use in specific contexts – has gradually created a common ground in which scholars of history, political science, sociology, philosophy, linguistics, translation studies and law – among other academic fields – have been able to converge, exchange and mutually benefit from their findings. It is no surprise that many theoreticians and researchers, from different pespectives, take an interest in the linguistic fabric of social processes, as well as in the temporal structures embedded within the notions discussed by agents/speakers both past and present. Some groups have begun to develop research into the transnational circulation of concepts, both within Europe and beyond. This work often includes comparative analysis and consideration of the transfer, reception and adaptation of key concepts between different countries. Some scholars have even broadened their scope to focus on the semantic transfers and entanglements between cultural systems and civilizations. The history of ancient and modern empires – amongst the latter, the Spanish, the Portuguese and the British – and their disintegration provides an endless supply of case studies and an excellent testing ground for large-scale comparative analysis. Some concepts and semantic fields are already being studied from this perspective, particularly in the area of exchanges, asymmetries and asynchronies between both sides of the Atlantic. The multi-coloured Iberian American world constitutes, in this sense, an ideal arena for reflection upon the diverse meanings and temporalities underlying certain concepts employed in different territories and contexts, as a result of processes of translation and reception, as well as of the hybridization between European and indigenous cultures. Through its work on India and other parts of Asia, so-called post-colonial history has given rise to reflections that are of considerable interest to conceptual history. Not only because of the emphasis upon the role of discourse in the construction of identities and the administration of extra-European worlds on the part of the colonial authorities, but above all due to the theoretical challenge to social sciences posed by the questioning of the validity of its categories and analytical tools in relation to the study of non-western cultures. From another point of view, diverse interdisciplinary works demonstrate that many basic political, scientific and social notions, – even entire disciplines – appear to have arisen by means of metaphor, as a result of semantic transfers and repeated crossings of the borders between areas of knowledge, which seem to require a rapprochement between metaphorology and conceptual history. Other authors have stressed the need to pay greater attention to visual languages in processes of conceptualization, emphasizing the advantages of a mixed approach, capable of bridging the gaps between intellectual history, iconology and the history of art. In addition to the contributions focusing upon this core topic referring to the movement of concepts (in space and in time, between territories and areas of knowledge), the 16th International Conference on the History of Concepts will consider a variety of related topics, such as the history of languages (lexicography, historical dictionaries), the use of databases and text corpora for historical-conceptual purposes, and processes of vernacularization, by means of which some political concepts were transferred from the linguae francae to others spoken by fewer people and vice versa. The conference program will include case studies referring to both European and extra-European vernacular languages. The conference organizers encourage all those interested in this broad subject matter to present their proposals for papers and panels on any of the themes listed below, although this by no means excludes proposals on other areas of conceptual history. Political-discoursive struggles, translations and semantic transfers both between countries, civilizations and cultures; border areas, exchanges and cultural mediators; translingual practices and conceptual entangled histories. Theories and Methods in the History of Concepts. Post-colonial history and conceptual history; the discursive construction of identities, ethnic groups, social categories and classes. Are the ideal types and analytical tools of western social sciences valid for the study of other cultures? Vocabulary and languages related to empires: universal monarchy, empire, imperialism, colony, colonization, colonialism, etc. 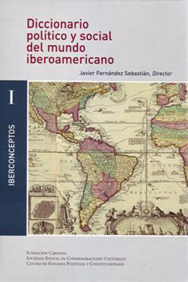 Transfers, receptions and redefinitions of key concepts in the Iberian American world. Translations of political concepts, adaptations and exchanges between Amerindian and European languages. 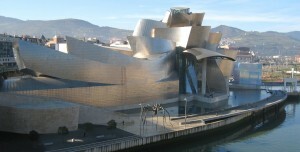 The history of a number of social and political concepts in the Basque language. 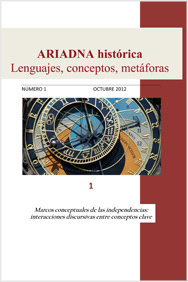 Studies on translation, reception and transfers of key concepts between Basque, Spanish and other European languages. Experience, temporality and historicity. Historical semantics of modernity and post-modernity. Social-political language and the rise of scientific disciplines. Conceptual transfers between different fields of knowledge. Political controversies, academic discussions and conceptual change. The semantics of images. Cross-boundary approaches to relations between written and visual languages; Intersections between history, iconology and linguistics. From metaphors to concepts and back. Metaphorology and conceptual history. Computational linguistics, textual databases and other digital resources for conceptual history. The history of social-political lexicons and conceptual history. Lexicography and historical dictionaries, with particular reference to the history of the Castillian and Basque languages, and to studies of comparative historical linguistics. All participants interested in presenting a paper or setting up a panel are kindly asked to submit a one-page abstract (max. 400 words). The deadline for the receipt of proposals for papers and panels is March 30, 2013. Following the selection process, candidates will be notified on April 20, 2013 as to whether their proposals have been accepted. The working languages at the conference will be English and Spanish.